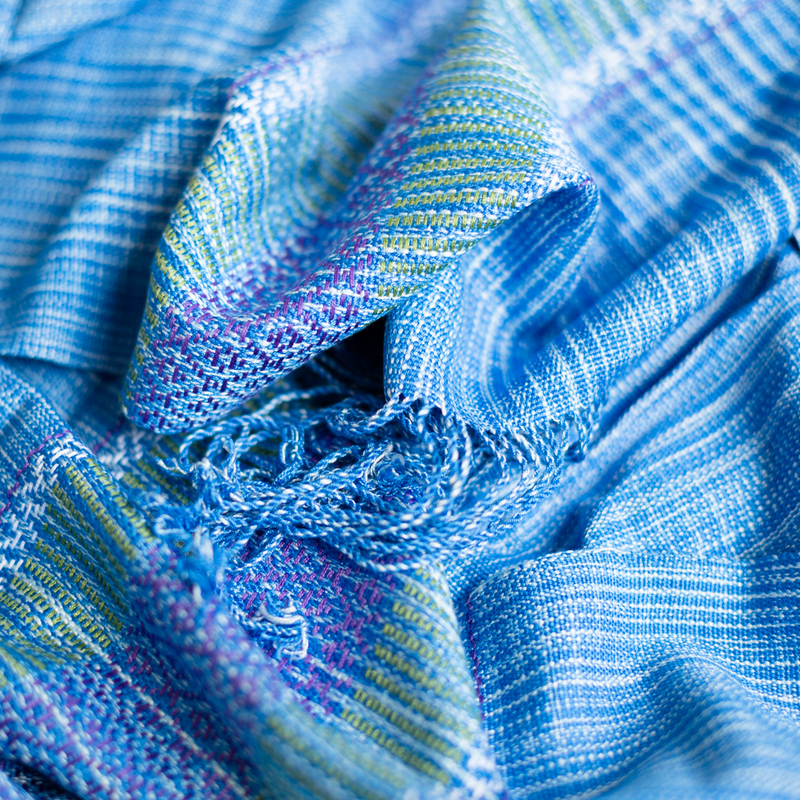 Cotton Fairtrade scarf from the Northwest of Thailand. 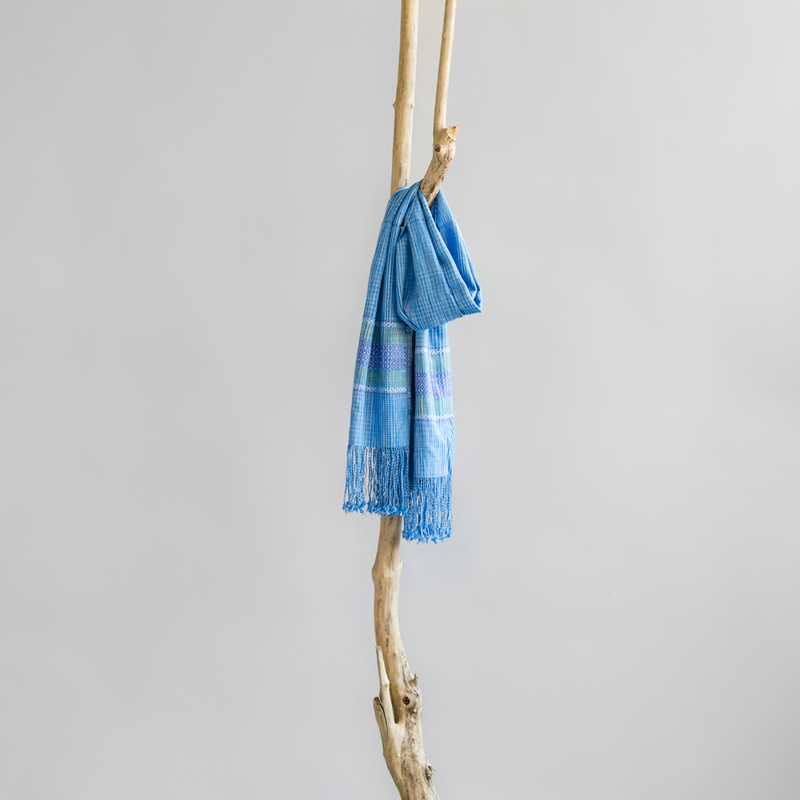 Sky blue cotton Fairtrade scarf with green details, made by Karen and Karenni women in the Northwest of Thailand. The women live in refugee camps along the Thai-Burmese border.